Cheradangi high school, located about 10 km from Dinajpur town, was first set up in 1931 during the British colonial period as a primary school. In the local vernacular, "Chera" and "dangi" together stand for a 'place of earthworms.' Since 1931, this school has indeed been a place of earthworms toiling to make the land more fertile and grow more from it. Despite the continuous operation of the school for over 90 years (primary school in 1931; middle school in 1950 and High school in 1964) and having graduated many accomplished alumni, this school is not yet in the Bangladesh Government's permanent budget line under the Ministry of Education. Growing up as a child, my father, an academic by training (most recently retired from Rajshahi University), had shared with me many stories about the school and the education style of the 1960s that he experienced. He passed his Secondary School Certificate from Cheradangi High school in 1962. Many of these stories intrigued me, mainly because my father is someone who may be considered an accidental byproduct of the system. None of my uncles and aunts ever made it beyond middle school. Contrary to the norm, my father managed to go farther than most. He was able to get a PhD (from University of Durham in the UK) at a time when the conventional wisdom among the locals was that sons should work on their father's land for generating their livelihood. Interestingly enough, my father was one of the fastest paddy planter during the rainy (Aman) season - a story that he had often recounted to me when we discussed about agricultural practices. He had to work on the farm while carrying on his studies in parallel until grade 9. I believe this story of my own father and Cheradangi High school is not an uncommon story in Bangladesh. There are many such schools around the country that have graduated many sons and daughters for the country against insurmountable odds and with meager resources. So I recently paid the high school a visit in 2018 during my regular visits to Bangladesh for work. It was the rainy month of July where I had to navigate the wet and mud-laden roads of rural Dinajpur. I wanted to talk to the teachers candidly about issues and challenges and find out what made them tick. I wanted to interact with students and staff and see for myself the physical infrastructure that our young boys and girls in non-Governmental schools typically experience in rural Bangladesh. Most importantly, I wanted to find out if there were lessons I could learn from all this that I could take back to the United States where I work as a professor privileged with plenty of resources. What makes teachers in rural high schools want to teach? The answer I got from the teachers when I asked what made them choose this rather low-paying profession (in a non-Government institution without the benefits of a pension), was a wide-ranging one. The most common thread was that almost all loved the classroom interaction with students that gave them a joy that is hard to find in other job. One female teacher confided that her worst time was the long breaks between terms that made her restless to want to go back to the classroom again. Another teacher told me that while pay was not much, he took immense pride in the fact that it was the cleanest type of salary rightfully earned and the payback was much more in the long run in seeing the graduates grow up to be a useful member of society. Another teacher shared with me an interesting analogy drawn from gardening and farming. That teacher shared that teaching was not as physically stressful as farming, but it was more like maintaining a flower garden for a few hours a day. If the time and effort on watering and weed control was well spent, then his vindication was the flowers he is able to smell a few years later during graduation (Note: average teaching time is 3 hours per instructor per day with the rest of the time for meetings and course content delivery). Surprisingly, the message I got is that these high school teachers have an abundance of passion and heart that drives them teach the young in a non-governmental institution with little support from the Ministry of education. Almost all teachers shared with me the same three answers - i) not enough full-time instructors ii) inadequate IT infrastructure iii) lack of digitization schemes to make grading and instruction easier as enrollment keeps growing. A few mentioned the lack of instruction on physical education and sports (the school lacks a proper gym) from a professionally certified physical trainer. Despite these common challenges, there is a silver lining in all these challenges. A typical section of a class is about 100 students. Total student size is more than 1500, with approximately 55% girls and 45% boys. While the number of students might seem too high for a facility that is barely an acre in size, it was pleasing to learn that girls come to school riding on bicycles from as far as 15 km away and that they regularly beat boys academically. They are also less prone to violence or anti-social forces (like drugs, smoking or playing truant). Perhaps the biggest challenge to teaching this generation of children, as one teacher shared, is the restless minds students nowadays have across all grades in this age of instant information, smart phones and multi-media entertainment. Calming these restless minds to make them focused on a specific topic is one challenge all teachers agreed that they have no solution for yet. Cellphones/smartphones are prohibited in classrooms that now have close circuit TV (CCTV) cameras. These cameras record classroom activity for up to a period of 2 months and have brought some measure of relief to the teachers. Unruly students have now been reported to behave better when a class under CCTV monitoring. Issues between students or with instructors get frequently resolved this way. During my visit, I had the unique experience of hearing about a calculator theft that was caught on camera, quickly recovered with the thief reprimanded, all within 3 hours. Talk about fast justice. The headmaster's office has a heads up display of about 2 dozen screens showing the classroom activity in real-time. Like many non-Governmental high schools in rural areas, Cheradangi High School will likely remain a private and non-governmental institution running on its meager revenue model and philanthropic donations from its alumni and local stakeholders. Like many schools, Cheradangi High school will need to adapt, reinvent and innovate in this age of information technology and rapidly changing youth culture. It will likely have to reach out wider to its donor and alumni base (alumni networking seems non-existent). It desperately needs to upgrade its IT facilities that one can hope will happen with Government support under the Digital Bangladesh plan. The Union Digital Center, which needs to be leveraged, is just a stone's throw away providing universal access to various IT resources for the local citizens. The most important lesson that I took home with me to the US is that passion and heart continue to thrive in the most unexpected places of rural Bangladesh. 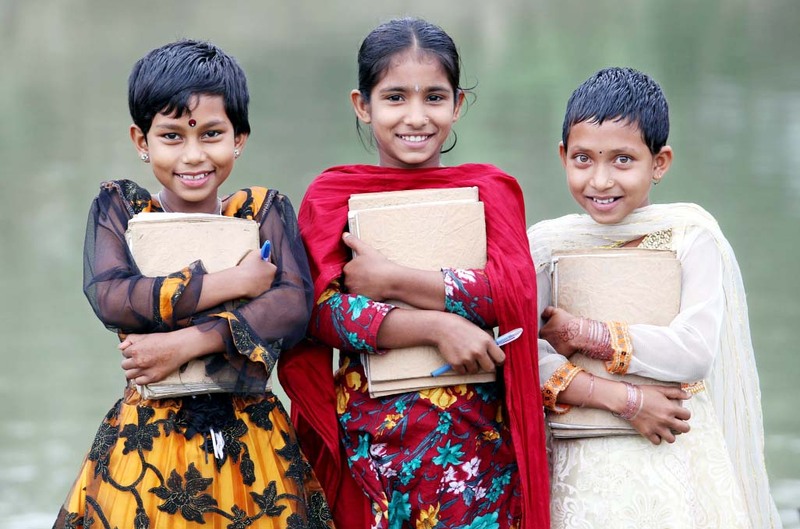 These hearts are what have been running the engine of education of most of Bangladesh for decades against all odds, giving our most disadvantaged children hope and the audacity to dream big. Had it not been for these hearts of passionate teachers, I would probably not be writing this article as a US professor sharing my experience as my father would have most likely remained only a farmer worrying only about rice cultivation during the Aman season. (Faisal Hossain is a professor in Civil Engineering at University of Washington in Seattle, USA).